Many drugs are loosely bound to plasma and tissue proteins. The free unbound fraction is pharmacologically active. This fraction is increased in conditions in which hypoproteinaemia occurs. Competition between drugs for common binding sites can lead to a transient increase in free levels of one following its displacement by another, but the clinical importance of this is uncertain because increased clearance of the free fraction occurs, which tends to re-establish the original equilibrium between free and bound drug levels. Adverse reactions are particularly likely to occur where the relationship between drug dose and blood level is non-linear, so that relatively small increments in the dose given may lead to unexpectecl1y large increases in the blood level. Such a relationship is typical of saturation kinetics, in which hepatic metabolizing pathways become saturated or exhausted at a certain dose. 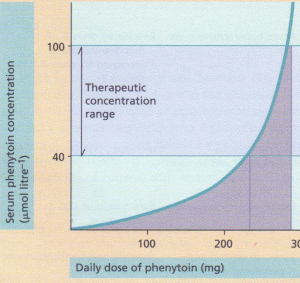 Above this dose, proportionately more unchanged drug enters the systemic circulation. An important example of this phenomenon is seen with phenytoin. 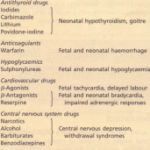 Some adverse effects are due not to the parent compound but to highly reactive metabolites. 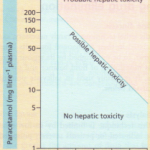 For example, when paracetamol is taken in overdose the capacity of hepatic conjugating mechanisms is exceeded and a hepatotoxic metabolite is formed and accumulates. 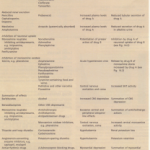 Influence of disease on drug toxicity through changes in pharmacokinetics. 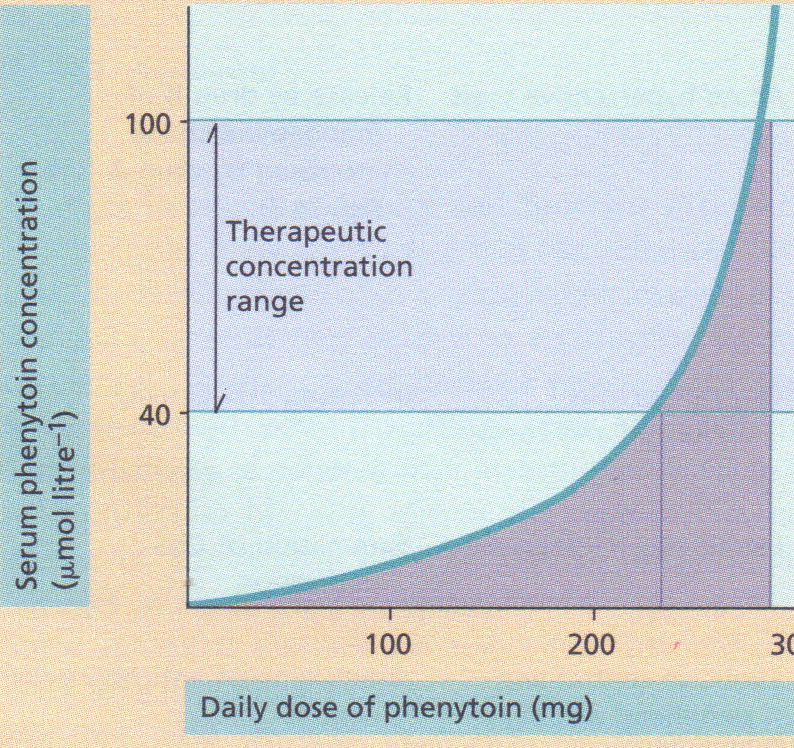 Saturation kinetics as exhibited by phenytoin. Many drugs are excreted by the kidney, while others are reabsorbed. Changes in urinary pH affect elimination; for example, the excretion of the acidic drug aspirin is increased, whereas that of the basic drug mexiletine is reduced, by alkalinization of the urine. This may be important clinically in patients who have a persistently high urine pH from renal disease or a vegetarian diet. Competition for renal tubular excretion also occurs, e.g. penicillin competes with probenecid. The therapeutic action of some drugs is markedly dependent on the local physiological environment at its site of action. A good example is the effect of myocardial potassium concentration on the cardiac actions of digitalis glycosides, hypokalaemia leading to enhancement of their action, with the risk of toxicity. Another example is the influence of changes in sodium and potassium status on the response to lithium. Drugs can interact within the body in many ways that may lead to adverse effects. Some important examples are given. Cardiac failure Reduced gastrointestinal perfusion and drug absorption Patient compliance Patient compliance is also a factor in adverse reactions. Compliance is influenced by the drug formulation, frequency of dosage, number of drugs prescribed, and by the patient’s age and ability to comprehend instructions.